Our four-acre parcel is within Santa Clara County's 287-acre Martial Cottle Park which showcases the area's farming past and celebrates the agricultural heritage of Santa Clara Valley. We showcase many aspects of gardening in this region, from native plants to vegetables to fruit trees and more. Directions: Entry to the Park is free. Parking is $6. There are walkways in the Park to our garden location. Visiting hours: Our parcel is open to the public during our working hours. Our workdays are Wednesday and Saturday from 9:00 a.m.–noon. We welcome Martial Cottle Park Volunteers and the public. So stop by, enjoy the gardens, attend a class, participate in an event, or roll up your sleeves and help garden. The extraordinary presence of this garden within a 287-acre agricultural setting in a County and State Park provides a unique learning environment for the public. Community hands-on training to support and encourage healthy communities and ecosystems through sustainable landscape practices is the main focus. Water conservation, green waste reduction and local sustainable gardening practices are just a few of the classes we deliver to youth and adults in a hands-on learning environment. 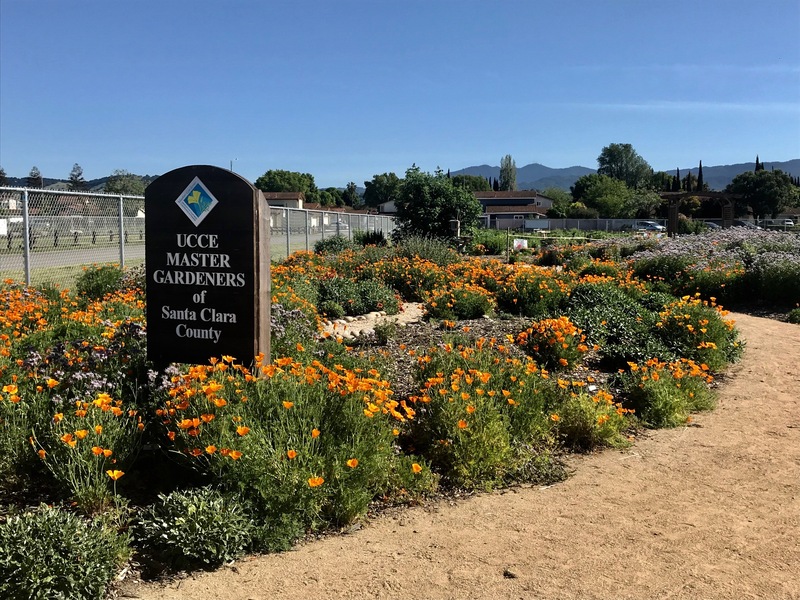 Sign up to get weekly news and updates on what's happening at the Master Gardener Community Education Center at Martial Cottle Park, including information about volunteer work days. Our regular workdays are Wednesdays and Saturdays, 9:00 a.m–noon. We welcome community volunteers at the garden. If you enjoy working outside in a garden, or even indoors in a greenhouse, we'd love to have you join us. Our work days are Wednesday and Saturdays from 9:00 a.m.–noon. You can come for all or part of the time. Sign up for our mailing list, to get updates about work day information. Note that all volunteers need to sign a UC ANR waiver form. Bring it with you or fill one out on your first volunteer day. In the summer of 2015, Master Gardeners began working on a four-acre parcel covered in weeds. After a year of hard work, there was a thriving Native Garden, 51 raised beds for research and ornamental plants, a Farm Stand, a Barn with rain catchment, and pathways into the parcel. By the end of 2016, we completed construction of a 72' Solar Light Greenhouse. 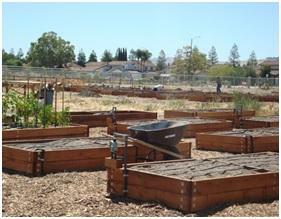 The greenhouse is used to grow most of the plants for Master Gardener projects throughout Santa Clara County. Many of the vegetables, flowers, herbs and plant seedlings grown on site are sold at our Spring and Fall Garden Markets. Other plants are used for research and teaching purposes.